Students major in chemistry as a path to medical, dental, pharmacy, and many other graduate programs and to become chemists working in industry, academia or government. An excellent path to professional school: A degree in Chemistry provides a great background for entrance into medical, dental, veterinary, pharmacy, and many other professional medical graduate programs. The chemistry curriculum will help to prepare you for the entrance exams (MCAT, PCAT, OAT, DAT, etc.) as well as for success once enrolled in the graduate programs. The chemistry degree plans offer students the flexibility to take elective courses in order to fulfill their prerequisites and they also prepare them for their entrance exams. As shown in the table below, students majoring in the physical sciences (e.g. chemistry) generally perform exceptionally well on the MCAT. A path to an excellent career: Chemists can have high job satisfaction when they work on cures for disease or monitor/improve the environment. Still others discover new materials to make our homes warmer in the winter, or create new textiles to be used in the latest fashions. The knowledge gained through the study of chemistry opens many career pathways outside health professions. 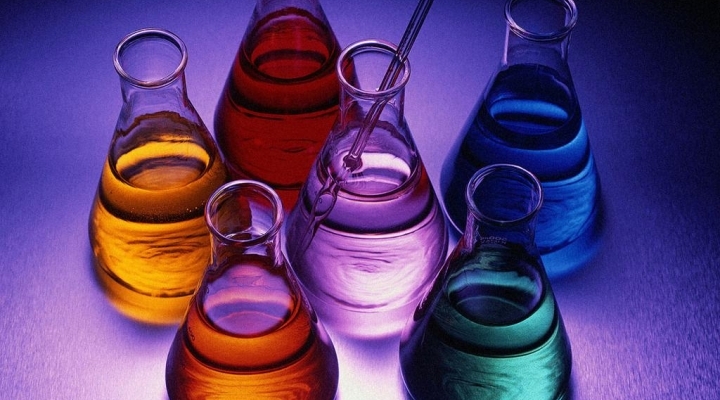 Below are just a few of the careers chosen by chemists. For more information visit the college to career pages of the American Chemical Society. Purposefully, getting off the path: - Sometimes our graduates get away from the bench and obtain jobs using their science degree in non-traditional but interesting ways. Grant officer for NIH, NSF, etc. Try teaching - Scientists as Schoolteachers, Community College Faculty: Must Love to Teach, and Careers in Teaching. (See also Teaching Science to Nonscience Majors, and Teach the Students You Have. Science writing. See Starting a Career in Science Writing, which includes Some Thoughts on Becoming a Science Writer, Science Journalism Degrees: Do They Make a Difference? Medical writing. Careers in Medical Writing: Opening Doors and Working as a Medical Writer. Science outreach: Transitioning from Researcher to Outreacher and Making Schools Better in New York City. Science museums. Careers in Zoos and Museums, An Astrophysicist at La Città della Scienza, Darwin's Legacy: Rich Collections, Deep Expertise, and Darwin's Legacy: Keeping Order. Science policy. Read more in A Matter of Policy and Finding Your Way Into Policy Careers in Europe. Regulatory science. All in the Details: Careers in Regulatory Science and Tooling Up: The Regulatory Affairs Career Track. Sales. Careers in Sales and After-sales Service. Technology transfer. Transferring Skills to Tech Transfer. University diversity office. The Passion of the Science: A Nontraditional Pathway. Career advisor. It Isn't Just the Ambiance. Staff development. A Developing Career. Research administration. University Research Administration: Benefits, Not Bureaucracy. For more ideas visit: Science Careers outreach program, The Medical Writing and Corporate Intelligence Career Tracks, The Applications Scientist Career Track, The Project Management Career Track, and The Biomanufacturing Career Track.